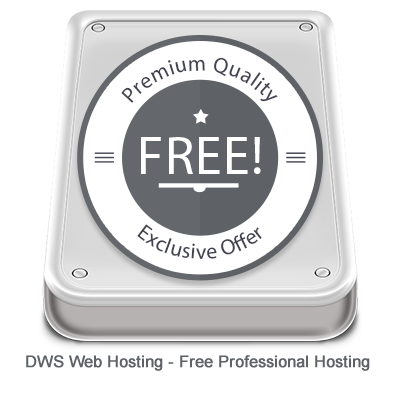 DWS Web Hosting are specialists in free hosting services using clustered technology powered by one of the largest hosting organizations on the internet. Sign up here for fast free PHP and MySQL hosting including a free sub domain. A powerful, easy-to-use control panel provided to manage your website, packed with hundreds of great features including website building tools, Email, FTP, add-on domain and many more. DWS Web Hosting gives you the choice of your sub domain. You can stick with yourdomain.dwswebhosting.cf, or you can get your free or paid domain in Domain Names page. With MySQL, PHP, FTP, VistaPanel and other features, you can host heaps of scripts with no worries. Adding your own domain registered at any domain registrar is just a few clicks and is hosted on your free DWS Web Hosting account! Along with all this, we provide free FTP, PHP 5.4, 5.5, 5,6 and 7.0, MySQL and our very popular feature: The Automatic Script Installer (Like Fantastico). You can install many popular scripts such as PHPbb2 and PHPbb3, WordPress, Zen-Cart, osCommerce, MyBB, UseBB, MyLittle Forum, 4images, Coppermine, SMF, Joomla, e107, XOOPS, PHP Wind, CuteNews, Mambo, WikiWig and many more! No need to wait a long time uploading files, Softaculous Script Installer deploys your files in seconds! You can find our Automatic Script Installer in the Vistapanel.